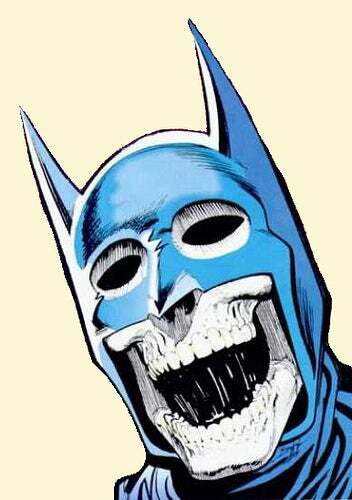 Potential spoilers ahead for the near future of the Batman family of titles. ...and one that, if it isn't coming up, DC is doing a pretty good job acting like it might be. Remember how, back in January, ComicBook.com speculated that Damian Wayne might be killed and replaced as Robin? And then how, last week, early copies of Batman Incorporated #8 hit the streets, appearing to tease that death on the book's cover? Well, Red Hood and the Outlaws #17 was not a comic book that was big on subtlety. The ham-fisted way that Lobdell put across that Jason Todd didn't consider The Joker a credible threat, combined with even a rudimentary knowledge of The Joker as a character, was more or less begging for retaliation--and then we got it. 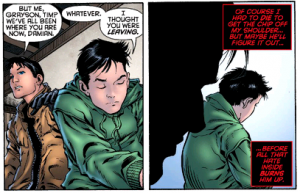 So, when Jason looks wistfully at "little brother" Damian Wayne and, seeing the similarities between himself and Damian that so many readers have pointed out, says "Of course I had to die to get the chip off my shoulder...but maybe he'll figure it out..."